BUSTO ARSIZIO (VA), 21st July 2016. 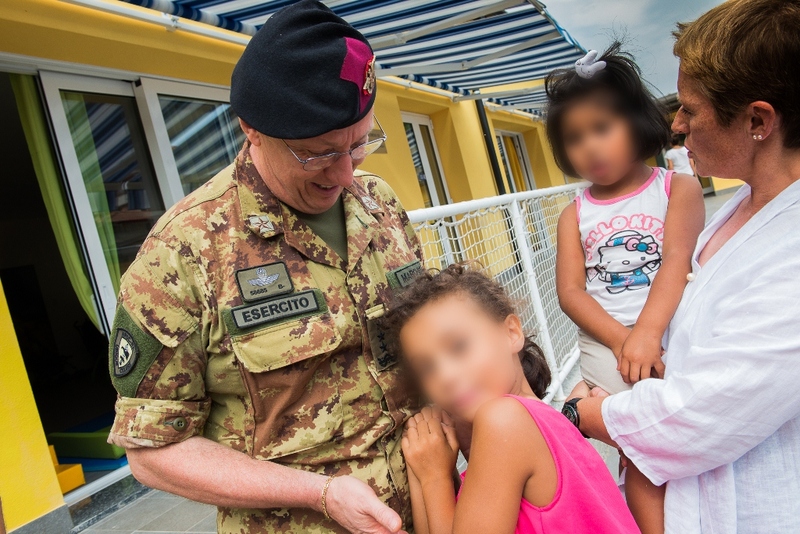 Today, at the presence of NRDC-ITA Commander, Lieutenant General Riccardo MARCHIÒ, took place the official donation of the awnings to “La Casa Gialla”, a non-profit association from Busto Arsizio aimed at giving children education and support of a family (www.associazionelacasagialla.org). “Thanks to the donors we have this tangible result of the fund raising who took place during the past International Day, a day for Charity. From now on the kids hosted by this praiseworthy association will enjoy their playing outside more than ever” said Gen. MARCHIÒ “and the reward is all in their smile”.